The Cadillac ATS is a luxury two-door coupe, and was once a four-door sedan. As buyers have flocked to crossovers the ATS has stayed on the sidelines, even though it's one of GM's best performing cars. The entry-level Cadillac emerged new in the 2013 model year. 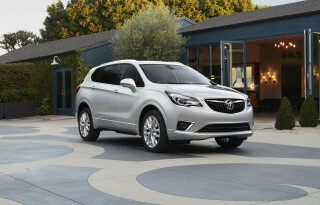 In 2015, it gained a two-door companion model. 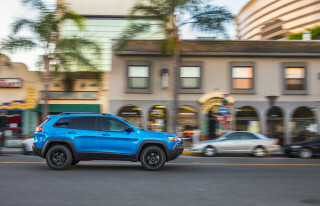 For 2019, only the two-door survived as the sedan was discontinued. The ATS spans a wide range of performance and covers traditional luxury-car bases: efficient, high luxury, and high performance in the ATS-V, which we cover separately. Rivals for the ATS include vehicles such as the Audi A4/A5, BMW 3-Series/4-Series, Infiniti Q50/Q60, Lexus IS/RC, and Mercedes-Benz C-Class. Like the one-size-up CTS, the ATS sports the latest evolution of Cadillac's Art & Science design vocabulary. Here, the angular forms of the first CTS have been toned down, with more gently integrated headlights and softer character lines along the body. That lets the ATS blend in easily with its luxury competitors, while still standing distinctively on its shorter wheelbase. The interior of the ATS focuses on the driver, with a flowing design highlighted by ambient lighting and a range of available interior trim finishes, from wood to metal to carbon fiber. The ATS rides on a platform that's shared with the larger CTS and the latest Chevrolet Camaro. The ATS sedan comes in rear- or all-wheel-drive form. 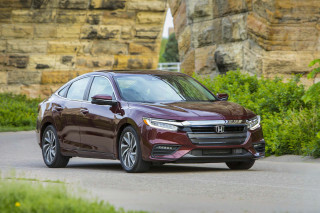 The sedan's base powerplant was a 2.5-liter direct-injection 4-cylinder with 202 horsepower and 191 pound-feet of torque that was retired for 2017; a turbocharged 2.0-liter inline-4 is rated at 272 hp and 295 lb-ft of torque. The top engine choice for standard models is GM's 3.6-liter direct-injection V-6, rated at 333 hp and 285 lb-ft of twist. Six-speed manual and automatic transmissions are available, although the manual is reserved for 4-cylinder models. The base model delivers fuel economy of 21 mpg city, 33 highway and a 0-60 mph time of 7.5 seconds, according to Cadillac. The turbo-4 returns similar fuel economy, while its 0-60 mph time drops to 5.7 seconds. With the 333-hp V-6, 60 mph arrives in 5.4 seconds, and gas mileage checks in at 20 mpg city, 30 highway. In part, the strong fuel economy and acceleration figures are due to the ATS's relatively low curb weight of about 3,400 pounds. The suspension is fully independent, and the ATS's weight is balanced 50/50 front to rear. Handling is not just on par with its primary German competition—we think it's superior in many ways. The ride does lose some suppleness as a result, though. Like all current Caddys, the ATS features Cadillac's new CUE infotainment system. CUE uses an 8.0-inch haptic touchscreen on the dash and a 5.7-inch configurable screen in the gauge cluster to control everything from navigation and audio, to climate control and vehicle settings. Like Ford's MyFord Touch, CUE can be operated by voice commands. The instrument panel also has touch-sensitive buttons that can control main audio and climate-control functions quickly. It's a controversial setup that has its glaring flaws and technical hiccups. The ATS backs up the in-cabin tech with myriad safety features including eight standard airbags and StabiliTrak. The Insurance Institute for Highway Safety hasn't yet rated the ATS, but the NHTSA gave the new luxury sedan five stars overall, an excellent score for a compact sedan. Optional technology includes full-speed, range-adaptive cruise control; intelligent brake assist, automatic collision preparation, and more. 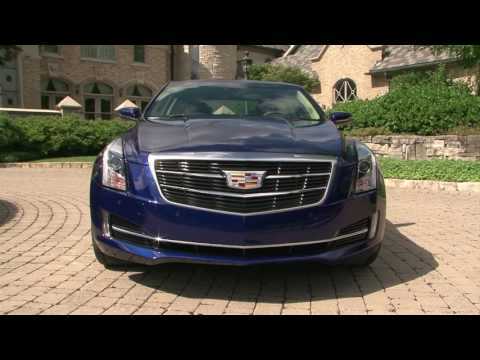 Cadillac's ATS courts the tech savvy crowd and safety-conscious buyers equally. 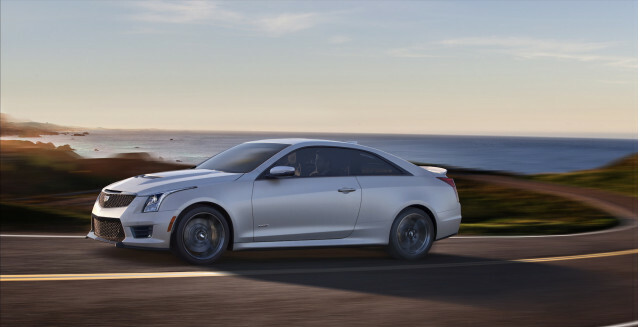 Changes for 2015 included the addition of an ATS coupe model. It shares most of the sedan's styling but has a slightly wider track and sheet metal to match. 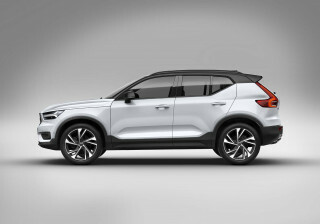 The base 2.5-liter inline-4 is not available in the coupe, which instead starts at the turbo-4 and offers the 3.6 V-6 as an option. The manual is available on the turbo-4 as it is on the sedan, and both rear- and all-wheel drive will be offered on automatic-transmission models. The ATS coupe was the first model to wear Cadillac's new wreathless crest logo. Also for the 2015 model year, the turbo-4 received a significant upgrade to 295 pound-feet of torque—an increase of 14 percent; horsepower remained constant at 272 hp. On the feature sheet, the ATS starts out well in base form, with a host of available upgrades to take the sedan or coupe well into high-tech luxury territory. The ATS can be fitted with navigation; expanded media connectivity including USB, SD, and Bluetooth audio streaming; wireless phone charging; wi-fi hotspot; CUE infotainment. For 2016, the big addition to the ATS lineup was the long-awaited V-Series model, which packs a 450-hp version of the brand's twin-turbo 3.6-liter V-6. Upgrades include plenty of stiffening hardware, big Brembo brakes, performance-tuned Magnetic Ride Control dampers, and a carbon-fiber hood, while other carbon add-ons will be available for the exterior. The rear-drive ATS-V is offered in both sedan and coupe bodies, with the choice of either a 6-speed manual or an 8-speed automatic transmission. The more powerful CTS-V moves to an automatic-only lineup in its new generation, meaning the ATS-V will be the choice for manual-shifting Cadillac enthusiasts. For 2017, the ATS shed its base, milksop inline-4 in favor of a simplified powertrain lineup that consists of a very good turbo-4 and a potent V-6. The number of trims was significantly reduced to be more direct: base, Luxury, Premium Luxury, and Premium Performance. Changes for 2018 are few, but include some infotainment updates and a heated steering wheel option. as above hard for older people to get into and out of. But is a beautiful auto. Pretty car. They stepped up interiors. ATS is a nice looking car. It's sporty, the tubro 2.0L has gusto. I swore I'd never buy a GM, never liked them since a teen. The fit and finish have been stepped up, and I like how they are not just putting... ATS is a nice looking car. It's sporty, the tubro 2.0L has gusto. I swore I'd never buy a GM, never liked them since a teen. The fit and finish have been stepped up, and I like how they are not just putting new grills on Chevy's like they did for years and Ford still seems to do. I get compliments on my car it is instantly recognizable. I traded in an Infiniti for the ATS. So in comparison of 2 cars that were within 3 hundred dollars of same price when new, the run flat tires are harse, no comfy over bumps like people think of Caddys'. I love the remote start but the climate control is often too cold or too warm while the setting is set at what should be a comfy 72. When it's hot or cold out, it just blows harsh air when it's not up to temp. The Infiniti kept calm until it got to temp. The CUE system is horrible. The lag time is like something from the 90's. The GPS does not seem to intelligent. If you set to fast it will take you way out of way just to keep you on interstates. If you say short it takes forever avoiding any interstate to keep you on rural road. My last car made a nice combo of the two. I'm only getting around 21 MPG around town 25 to 27 total highway on mid/high gas. The worst part I'm dealing with is that in around Feb 2015 they dumped 8 to 13,000 rebates on the left overs. So my car is almost worthless now and I'll always be upside down on it. I trade cars every 2 to 3 years, and Infinit, Mercedes, BMW never do that. So trade in value is much better when that time comes. So I really lost a lot of money on this car and will have to keep it longer than I usually wish too. If Caddy wants to play again with the big dogs, it still has miles to go.